An exfoliating milk with a creamy texture with Glycolic Acid that gently and deeply cleanses and eliminates dead cells. 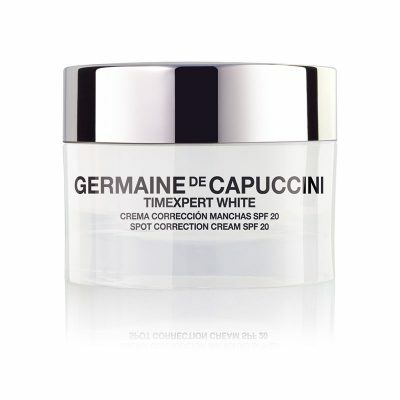 Good to unify skin tone, improve dull tone and help correct dark spot areas and irregularities on the skin. Especially for skin with pigmentation, Exfoliating Clarifying Milk works deeply, renewing the skin and working against lack of uniformity and pigmentation on the skin. 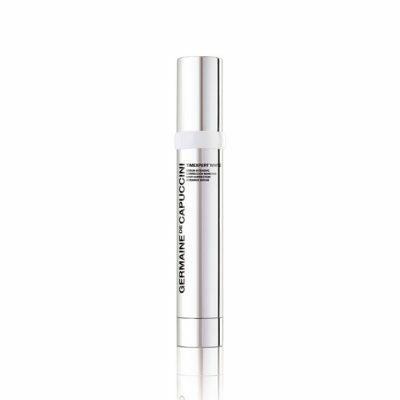 This product contains glycolic acid encapsulated in cyclodextrins which brings about an improved and deeper exfoliating action. 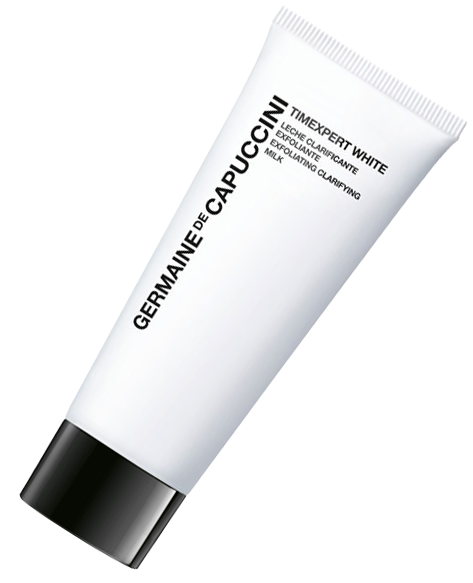 Whilst containing Glycolic Acid, this product is gentle on the skin and irritation is minimised. The skin becomes fresher, more uniform, deeply cleansed and smooth. 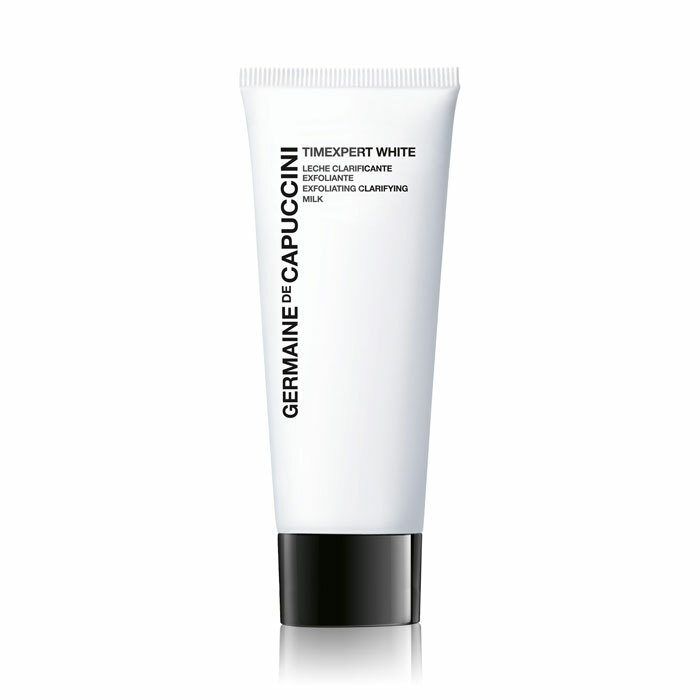 By using this product you can expect the best results from products applied subsequently, - whilst this product is ideally followed by other products within the Timexpert White Line, this product will also be extremely effective on thicker, dull skin / combination skin. We have been truly amazed with the immediate results this product gives. Massage well into the face, neck and décolletage then remove with tissues or a warm damp cloth. Do not use water to remove as the product remains in the skin and will continue to work. Tip: As this product contains Glycolic Acid, we highly recommend using an SPF product to protect the skin from further sun damage. (Shea) Butter, Triethanolamine, Cyclohexasiloxane, Cyclodextrin, Glycolic Acid, Cetyl Alcohol, Vitis Vinifera (Grape) Seed Oil, Macadamia Ternifolia Seed Oil, Glyceryl Stearate, Hydrogenated Palm Kernel Glycerides, PEG-100 Stearate, Hydrogenated Palm Glycerides, Sclerotium Gum, Helianthus Annuus (Sunflower) Seed Oil, Rosmarinus Officinalis (Rosemary) Leaf Oil, Ethylhexylglycerin, o-Cymen-5-ol, Phenoxyethanol. 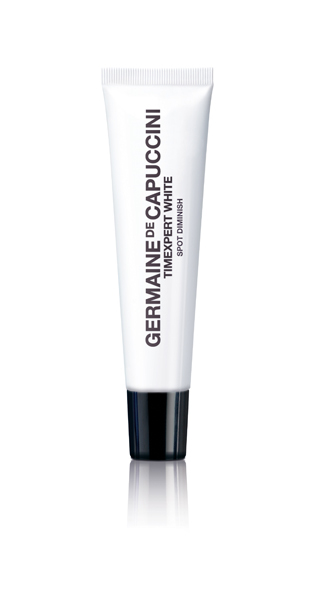 Love Germaine DeCappuccini always happy with the products and the free samples that are sent with any purchase are fab as you can try new products. Always arrive in good time! Thank you!